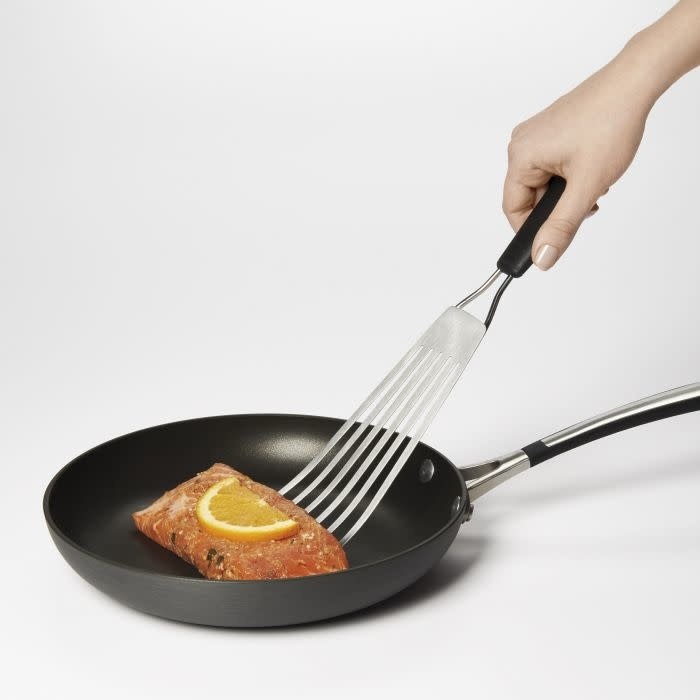 The OXO Good Grips Fish Turner lets you lift, flip and transfer fish while keeping it intact. 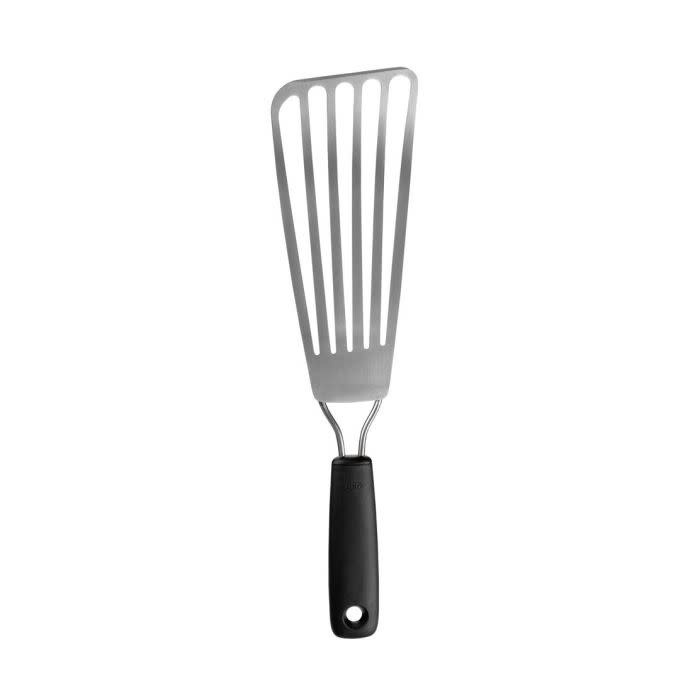 Use this handy tool on whole fish, filets, seafood cakes and more. 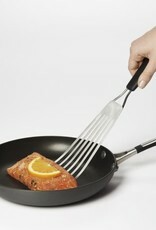 The beveled edge slides easily beneath foods and the slots in the head allow grease to drain. 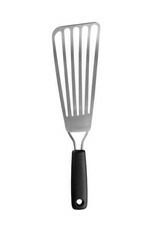 The durable, stainless steel head is oversized for larger fish and the soft handle allows for a comfortable grip.